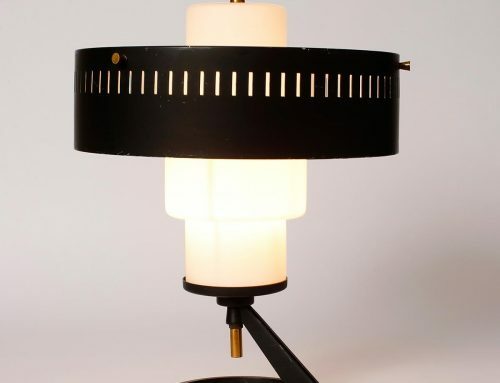 Lamp ‘Astrolabe’ designed by french artist Pierre Folie (1938). 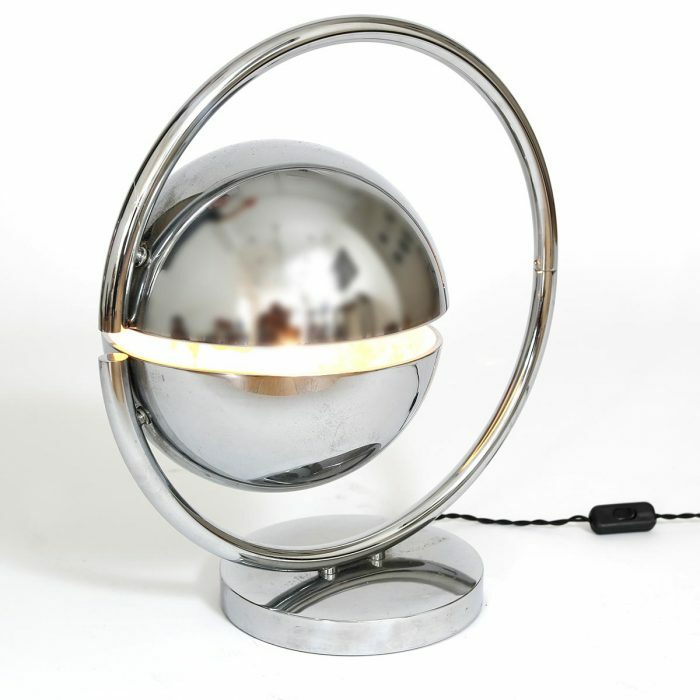 Chrome plated metal with two hemispheres, one of which rotates 180 degrees, circular base. 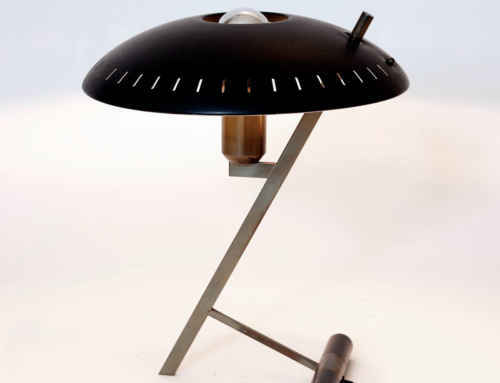 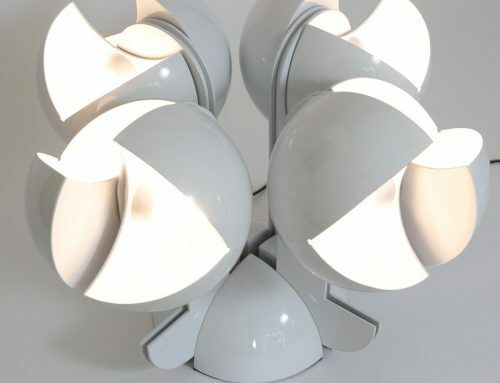 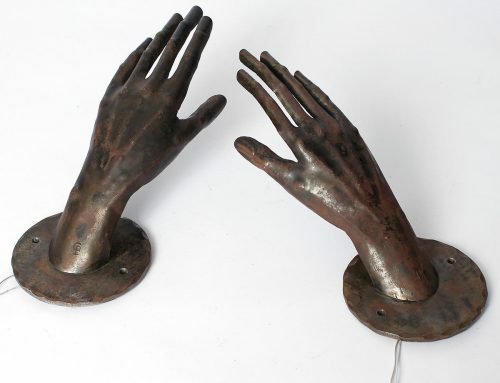 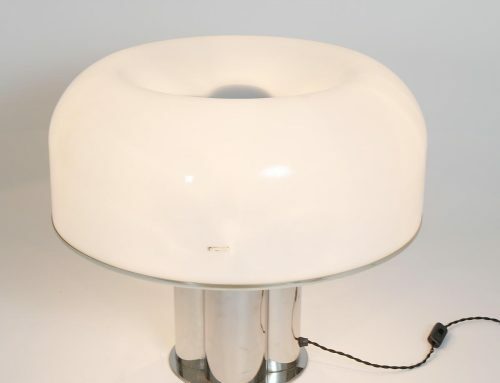 Pierre Folie, artist, sculptor and designer drew for Jacques Charpentier furniture and lamps in the 1970’s.